If, like me, you were unable to attend the Silent No More event on Feb. 2, I direct you to their website where you can listen to or read stories from women who have regretted their abortions and found healing. The stories are short, but there is a lot of pain in them, pain in the circumstances leading up to the abortions, pain in the procedures themselves, pain in the fear, self-loathing, depression and other negative emotions many women experienced before, during and after the abortions, pain in their regret at the decision, and pain in the healing process. The stories, however, end hopefully. While the regret at choosing abortion does not go away and has led these women to speak out, the stories describe finding forgiveness both from others and from themselves, and experiencing a sense of being set free from the past. The latter cannot be said of the comparatively few testimonies I have come across from women who apparently do not regret their abortions. They may genuinely feel this way, or genuinely believe they feel this way. They are entitled to their opinion. What strikes me about these stories, however, is how much more negative they are than the stories of regret, despite being considered “positive” experiences of abortion. I don’t just mean negative in the obvious sense of considering that there is nothing regrettable in ending a human life. I mean negative in the sense that they detail all the pain of the stories of regret without the redemption. Many of the “no regrets” stories describe women being in the same situations and experiencing the same fear, anger, shame, and pressure upon discovering they were pregnant as they do in the stories of regret. Both types of stories describe women having similar reactions during and after their abortions, such as crying, hatred of themselves and those around them, initial relief, and emptiness. The main difference is in how most of the stories conclude. The stories on the Silent No More website end with the admission that, though the hurt caused by abortion never goes away, healing is possible. Many of the so-called “positive” stories of abortion conclude that the author has no regrets because she considers herself undeserving or unfit to be a parent, because she has made and sees herself continuing to make bad decisions, or simply because she did not know of, or wish to know of, any other option at the time. Far from proving that the negative consequences of abortion are either non-existent or inconsequential, the “no regrets” stories show women in pain and as in need of healing as the women of Silent No More. The real difference is that the women of Silent No More have found healing and want to help others begin that long process. This entry was posted in abortion, guest blogger, women and tagged abortion, by Kate, choice, events, regret, Silent No More, uOSFL, women's health on February 11, 2011 by uOttawa Students For Life. We are pleased to announce that on Wednesday, February 2, our campus will have the honour of hosting a Silent No More Awareness Gathering. 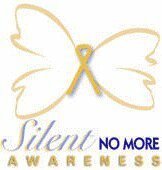 Representatives of the Silent No More Awareness Campaign will be gathering in the University Centre Agora from 10-11 a.m. and again from 3-4 p.m.
Silent No More Awareness seeks to make the public aware of the devastation abortion brings to women and men. The campaign seeks to expose and heal the secrecy and silence surrounding the emotional and physical pain of abortion. We strongly encourage you to come out and listen to the speakers. The voices of those who regret their abortions need to be heard. This entry was posted in abortion, activism, events, women and tagged abortion, activism, events, Silent No More, uOSFL on January 30, 2011 by uOttawa Students For Life.